Car Rental Guide for online car rental & car hire in Cape Town, South Africa. Competitive car hire rates. All vehicle types - sedan, 4x4, SUV, minivan & pick-up. Cape Town is steeped in a rich history and is a cultural melting pot with a diverse and vibrant character. Here you will find a mix of cultures, landscapes, fauna & flora, architecture, lifestyles, customs and scenery. Cape Town offers a myriad of "Things to Do" and places to see, whatever your tastes, inclinations or budget. 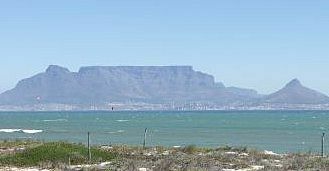 From the time of the first recorded discovery of the Cape of Good Hope, seafarers looked forward to the sight of Table Mountain from as far as 200 km away - today one of the world's most famous landmarks.